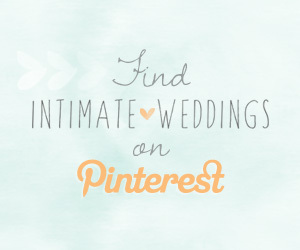 For a summer wedding theme with an added dose of nostalgia, go for a chic summer camp vibe. Bright flowers, outdoor games and mismatched dinnerware give the look a seasonal update. 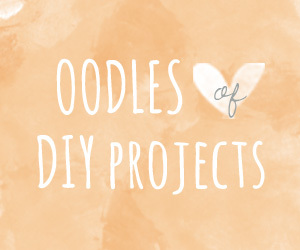 This theme is packed with fun-filled details for those of you who love the idea of glamping. 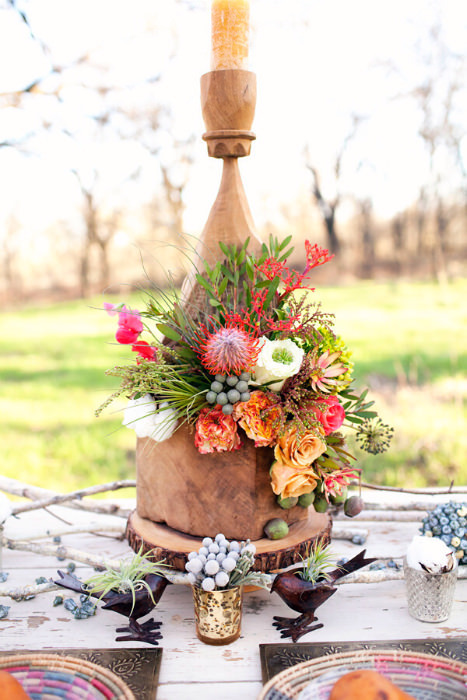 Centerpieces can go in two directions here; vivid flowers paired with rounds of wood can create an opulent look. For a simpler effect, go for wildflowers in vintage tea tins. Photo-walls give your guests something to look at as they enter the venue. 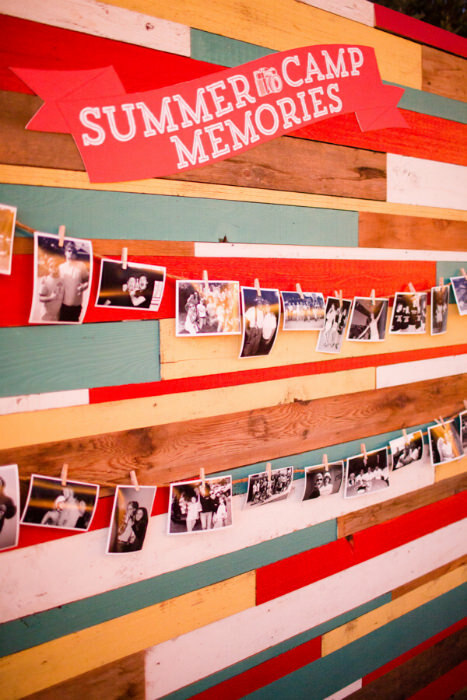 A ‘Summer Camp Memories’ board can feature your favorite childhood memories from camp. 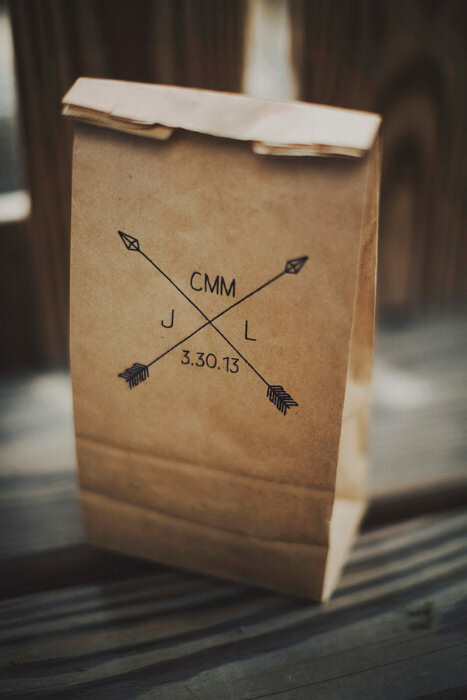 A personalized brown bag with an arrow design is a great idea for favor or picnic bags. 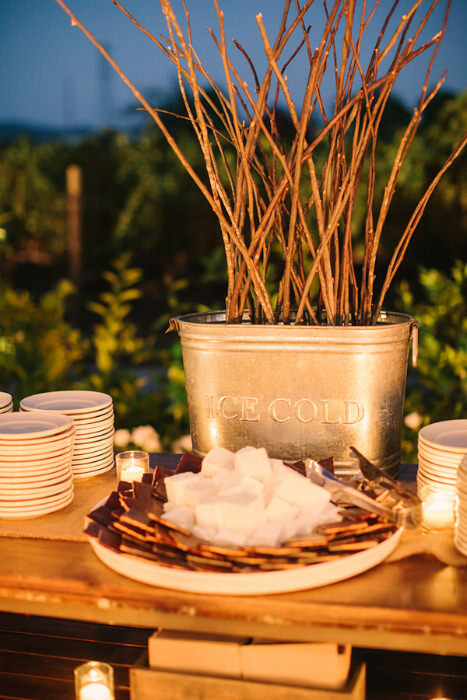 Well, camp just wouldn’t be complete without s’mores and winter weddings aren’t the only ones that can indulge in the deliciousness. 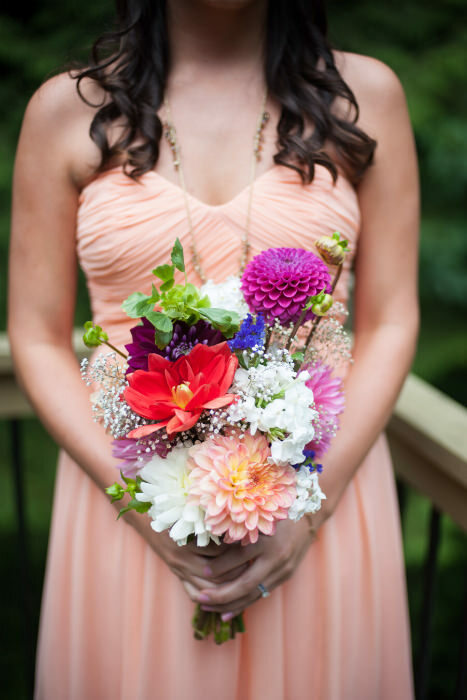 To keep the theme seasonal stick to bright bouquets and pastel bridesmaid dresses. 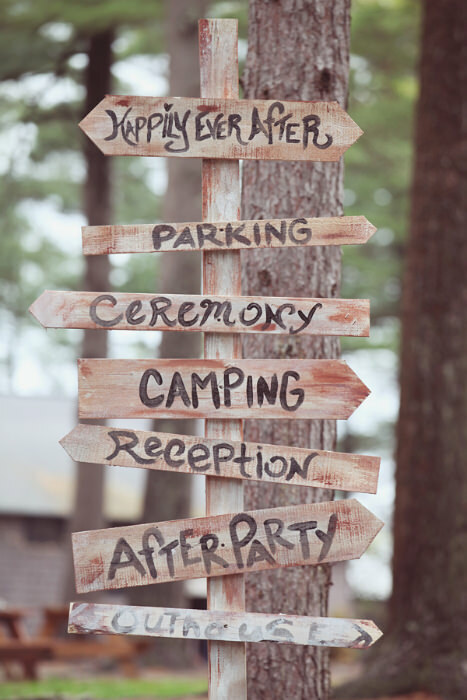 Wooden signs will direct your guests to the various locations or activities that you have planned; very useful for outdoor venues that have been separated. 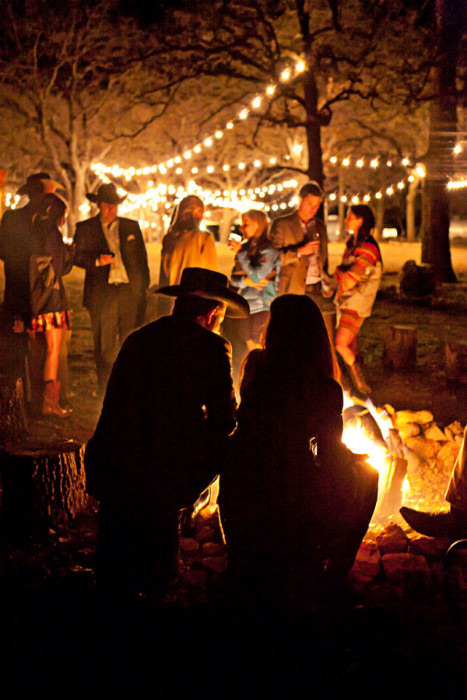 String up some lights between the trees and get a campfire going. 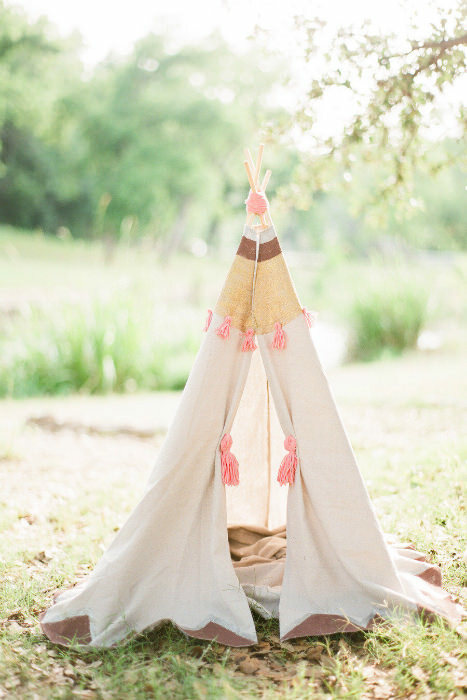 If your reception will be held in a tent or cabin, you can still place mini tipi tents around it for guests to lounge in. 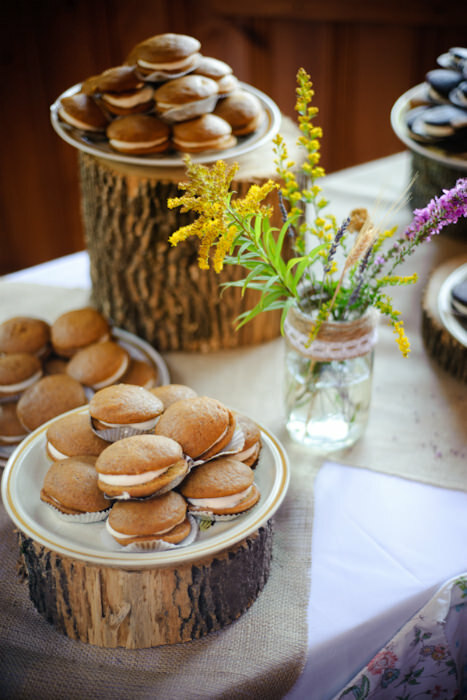 For a dessert table fit for a woodland wedding, throw out the cake stands and use rounds of wood. 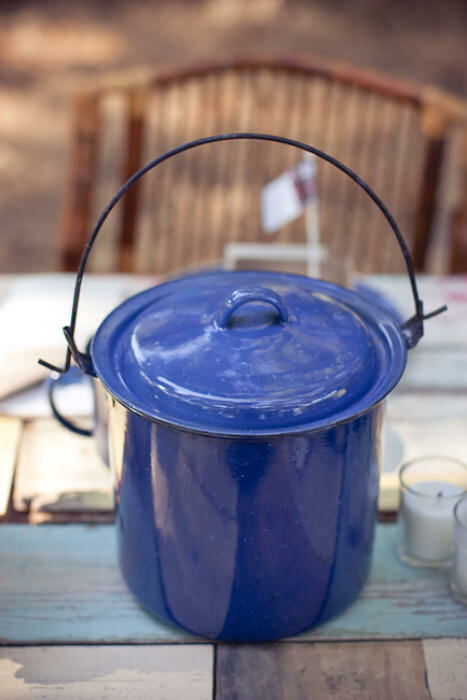 Blue speckled dinnerware and rustic pots are reminiscent of cooking on the fire and dining in a mess hall. 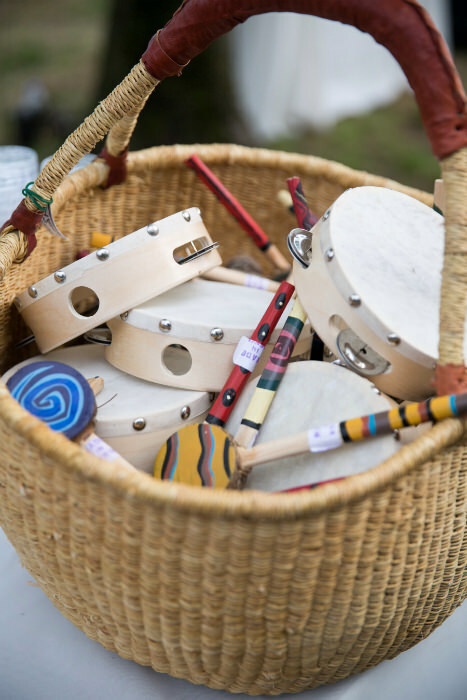 Fill a large basket with tambourines and other small instruments for some campfire singing. 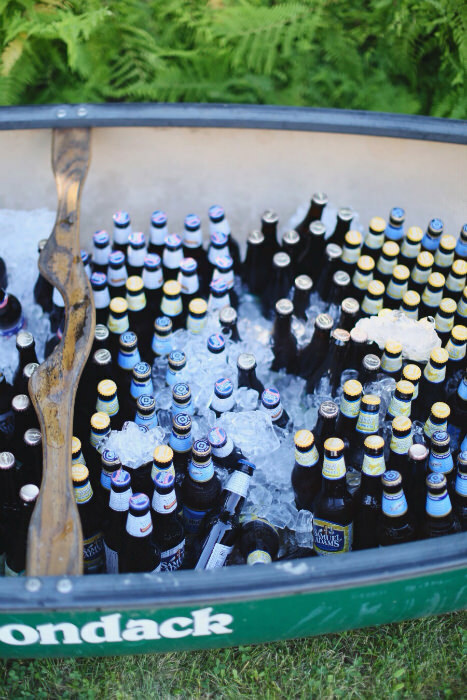 Canoeing is the ultimate camping activity and you can pay it homage by using a canoe as a beverage cooler. Just fill with ice and the drink of your choice for a unique display. 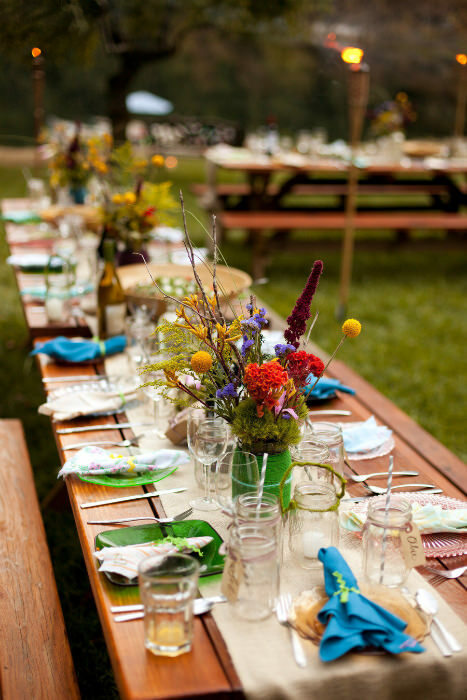 A mismatched table is a low fuss option for an outdoor wedding that is in keeping with the theme. 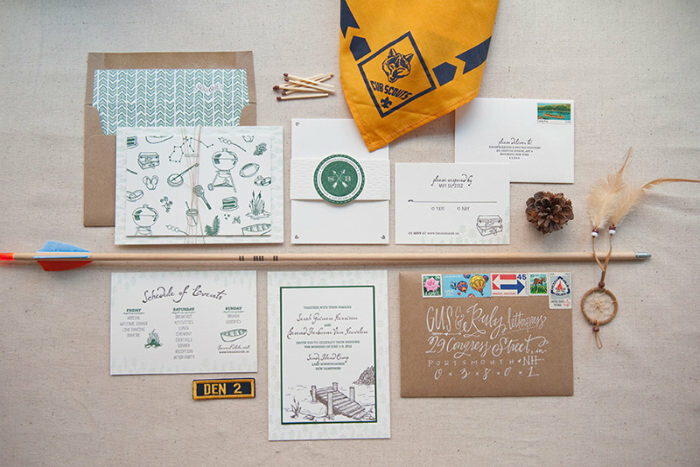 We’re in love with this camp-themed invitation suite, which will surely have your guests counting down the days to your wedding. A trail map and events schedule are lovely extras to include. 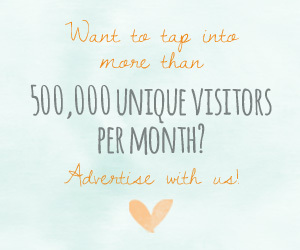 BridalPulse – New iOS App for Brides!